This blog is dedicated to parents dealing day to day...hour to hour...family gathering to family gathering...school to school with food allergies and food intolerence. Cream butter, vanilla, sugars together. Boil water then mix baking powder in water then add to mixture. 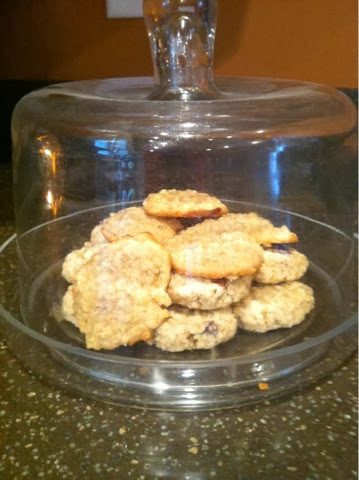 Add oats, flour, and raisins. Use teaspoon to scoop onto pan. Bake at 350 degrees for 12 minutes. Wah lah! Simple directions, but boys loved and we were able to "check off" an item on our October bucket list!! Melt a bag of baking Carmel's. we used werthers and they were so good!! Let them cool and whalah! 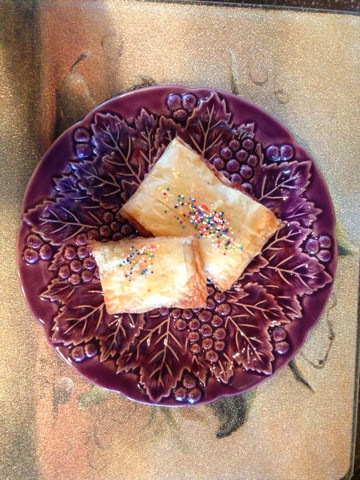 Today's goal: to find a better homemade, natural pop tart recipe that is also allergy friendly & healthy! My little allergy kiddo has recently out grew a strawberry allergy so I also wanted to use something with strawberry. Today's recipe only included: organic strawberry jam, phyllo dough, melted butter, organic sugar, and I also included some sprinkles. Simple simple simple!! I placed one sheet of dough, then brushed on melted butter, then again, but sprinkled sugar, then two more layers then sugar. I did this 2 more times then I added tablespoon of jam, then did 6 more layers on top with every other one adding a sprinkle of sugar. Then I used a knife to cut 6 rectangles, pinched their ends (all 4) closed and baked at 350 degrees for 20 minutes. When they were cooled I brushed top with butter, added sprinkles of sugar, and some sprinkles. Boys LOVED them!! One proud mommy!! School snacks made & bagged...check! 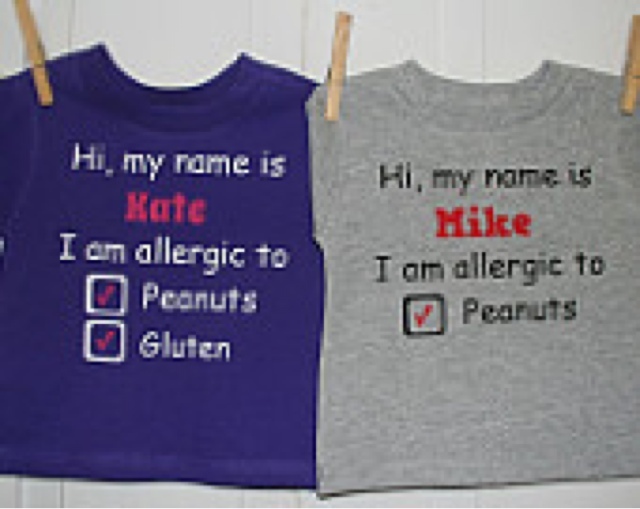 I love that there are so many items out there for food allergy kiddos! 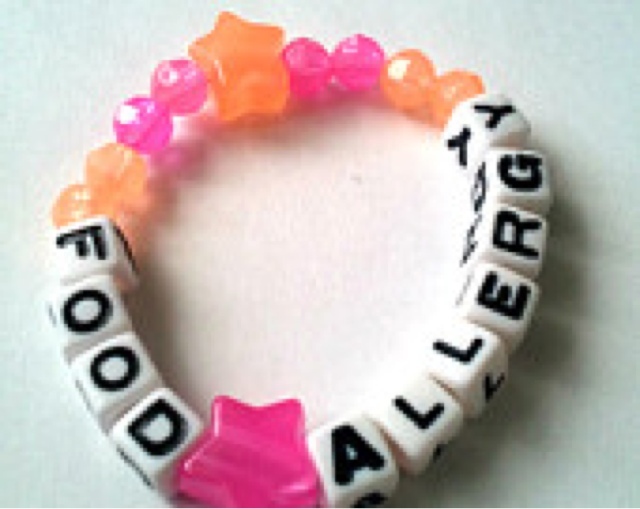 When we first started our food allergy journey, it was hard to even find a food allergy specific medical bracelet! Wow how the times have changed..Sadly enough. With that said, I wanted to share some of my favorite sites that have plenty of food allergy items to choose from. 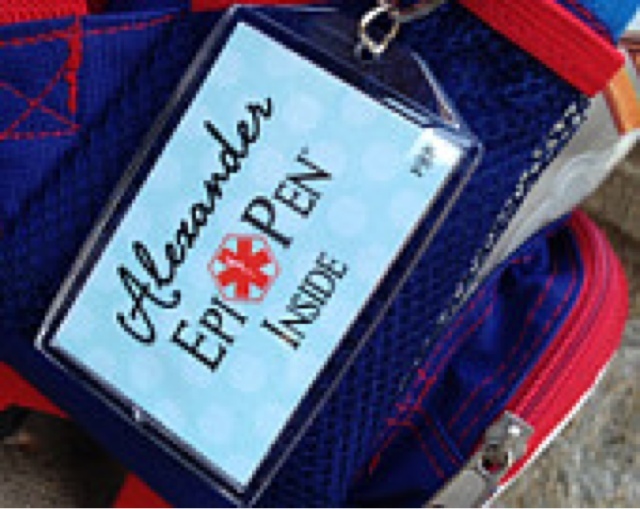 This website gives you tons of ideas of food allergy items that may assist in your daily task of avoiding the epinephrine auto injectors. 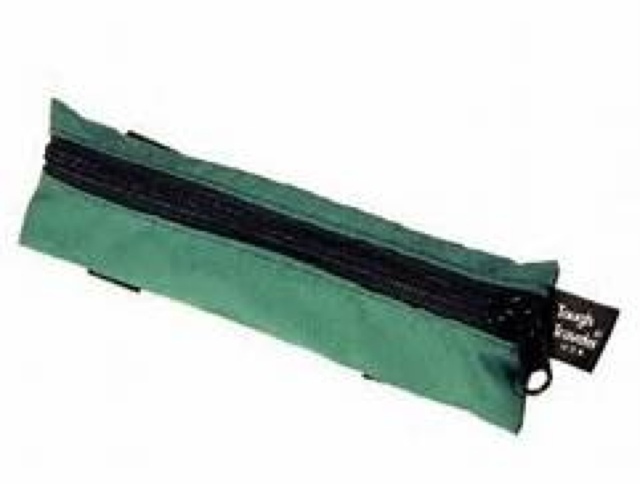 Which is this cute little carrying case for the epinephrine injectors. 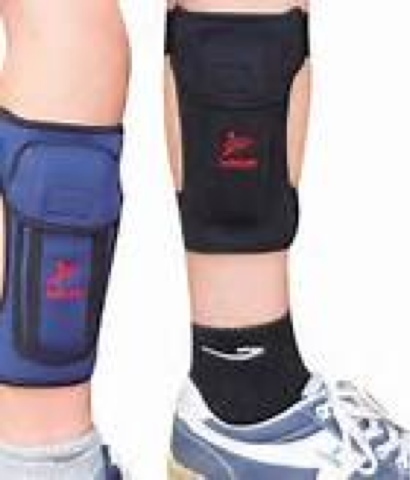 These are great to have for those sports activities…practice or even the game. We love these for soccer! 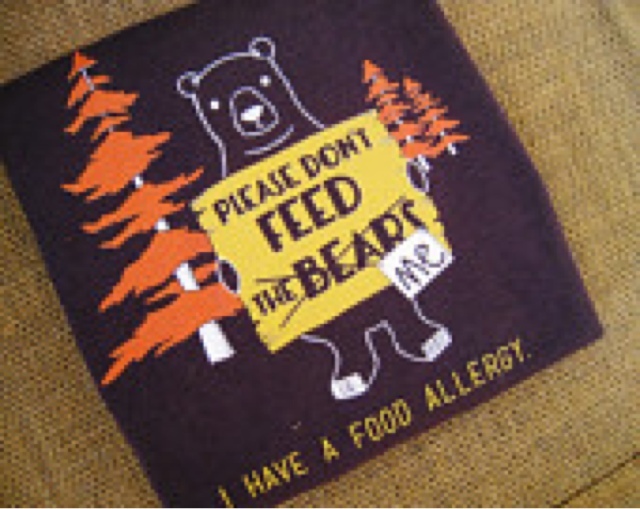 http://www.foodallergybooks.com/links6.htm: great for an all over food allergy supports. 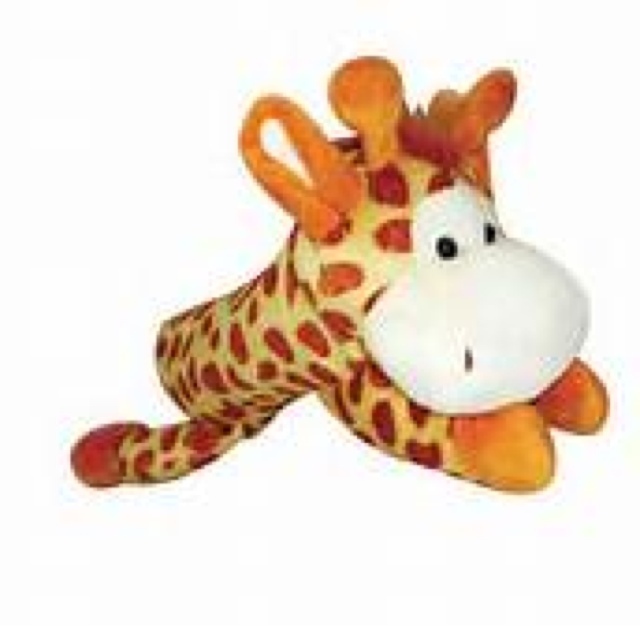 http://www.kidswithfoodallergies.org/shopping.html: awesome items, books, card, etc. When advocating for your child in the school system, food allergies are a new idea for many schools to grasp for needing a 504 Plan or an IEP or Individual Education Plan. However, food allergies do qualify for these supports. It’s just a matter of knowing your rights, what your school offers and what would be best for your child. For example, the 504 Plan is a protection plan for your child when it comes to food allergies. It really is just a part of the American with disability Act. It states that if your child meets certain qualifications and that if their food allergy is deemed a disability, then they can qualify for the 504 supports in the school system. They define disability as “"physical or mental impairment which substantially limits one or more major life activities. This can include physical impairments; illnesses or injuries; communicable diseases; chronic conditions like asthma, allergies and diabetes; and learning problems.” This does include food allergies with the help of your child’s pediatrician. Once you meet the qualifications, you will need to request a meeting with your school and request to apply for the 504 plan. This plan will allow your child to have all the accommodations needed in the school environment that will assist them to stay on same academic and social level of their peers despite their needs associated with their food allergies. For my family, our school does not recognize the 504 Plan. Public schools do though. So, it’s a matter of finding out from your principals. 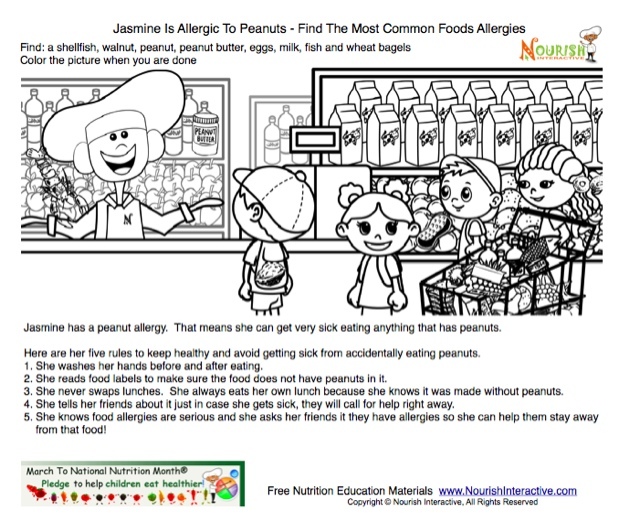 I highly recommend that your family explore this option for your food allergy kiddo!. 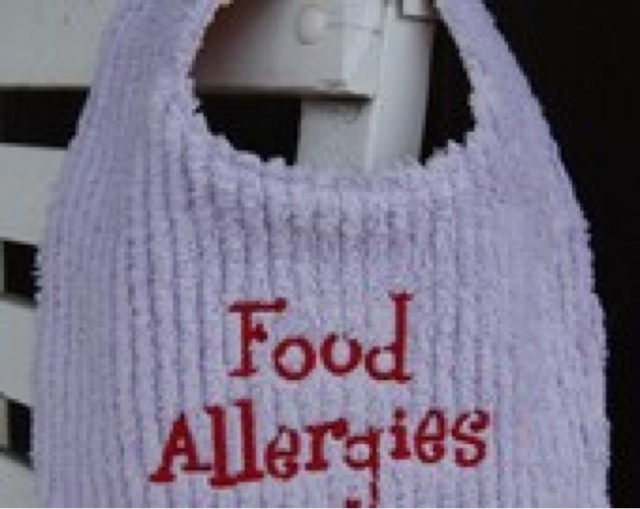 For this food allergy family, having a medical bag with us at all times is crucial. It may not have to be used that often, but it is there when we need it and gives a great sense of security to all of us, including our food allergy kiddo. 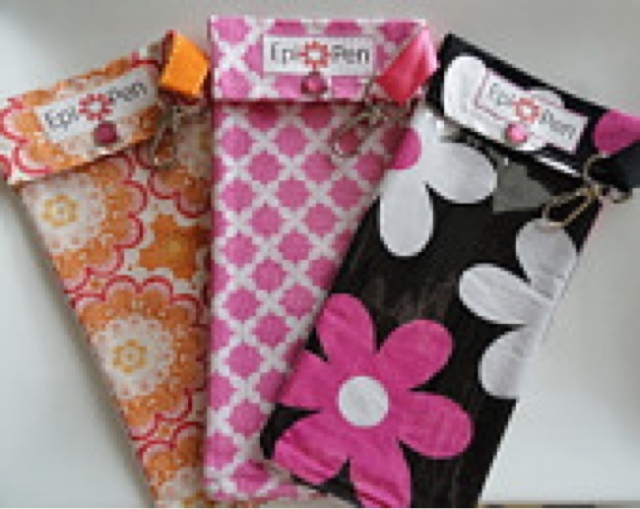 There are many websites and companies that sale cute and really neat bags that are used for this. 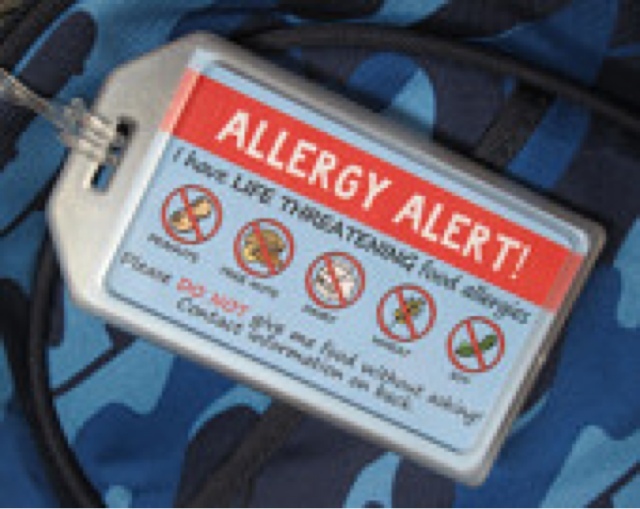 Some come in handy with how they are made which really announces that its a food allergy medical bag...which can help in an emergency. Below is some links to some of these items. 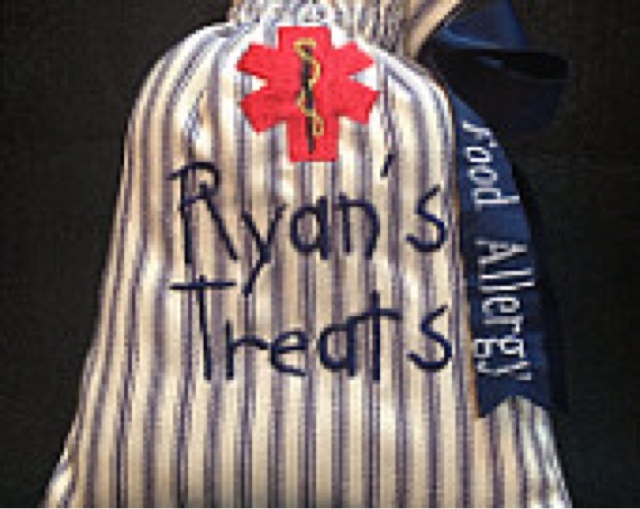 For this family, our Allergy Medical Bag is a zipped lunch box with Diego on it. It is getting a little dated and I am sure our food allergy kiddo would like something more like Star Wars or Angry Birds, but it still serves it needs for safety. We have it with us at all times...or with him at all times. It goes to every sports practice, every school event, family event, family outing, and even our errands. We do this by having one that stays in the car, a school one, and then the "extra" one. When he was little, we kept one at the babysitters and all the grandparents home. Now that he is older, we just have one at the school, in the car, and the extra one to grab if he is going somewhere without our car. I highly recommend that you explore getting a food allergy medical bag together for your food allergy kiddo. It creates a great opportunity to discuss food allergies, the what ifs, the how to's, and the now what's!!! In our bags we keep a bottle benadryl, 2 epi pen Jr's, s couple "safe snacks", band aides, moist wipes, extra food allergy medical bracelets, and an emergency card that list all food allergies and a plan of care if he is without his mommy and daddy. Very simple, but has been very helpful many times! Share with your child's classroom!! Cute, Fun & Educational!! With Easter approaching..(one of many scary holidays for food allergy kiddos), I thought I would share some of our favorite treats that the Easter Bunny likes to leave at our home. First, I do make most of the chocolate items in our baskets because its just so darn easy! 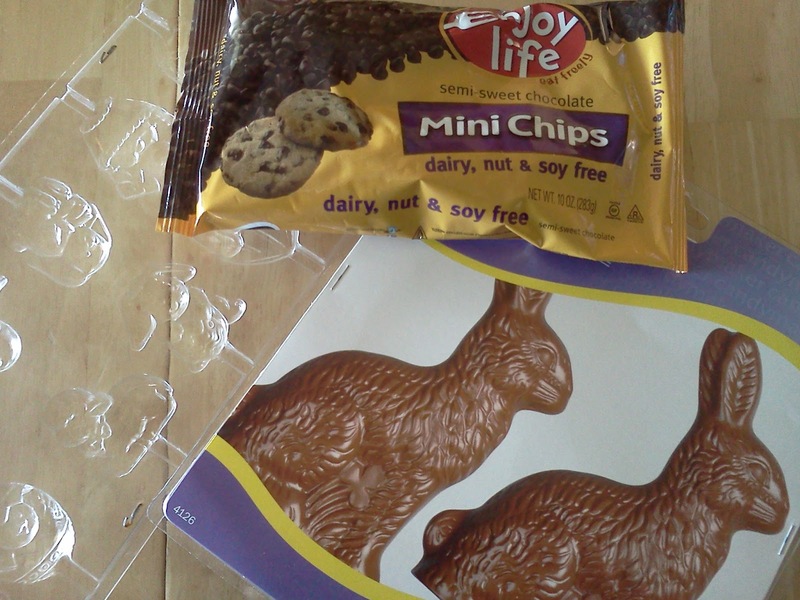 I have several molds such as bunnies, spring flowers, Easter eggs, etc. These are sold at places like Target and Walmart for a couple dollars or on Amazon.com for cheaper. I melt Enjoy Life name brand chocolate chips in the microwave for about 60 seconds, then stir, then repeat until completely melted. Then I pour them in the molds and refrigerate until solid. Then I wrap them in colored aluminum foil which I found online for about $3 a roll. This saves money, I know there is no contamination because I did it myself, and plus...they taste REALLY GOOD! Other than that, we don't get a lot of candy from the Easter Bunny except for some plastic eggs with some skittles. sweet tarts, and maybe a pack of gum in them. However, the kiddos love their chocolate bunny and their huge fans of the Annie's products! 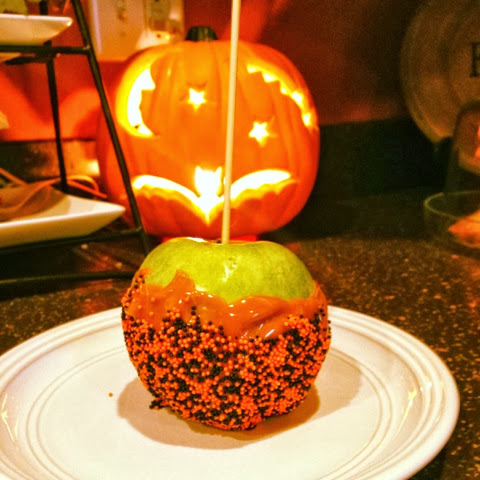 I always recommend that you make your food items for your kiddos, but as a busy mommy myself, I love that their are additional safe items out there to fall back on! Hope everyone has a safe and fun Easter! 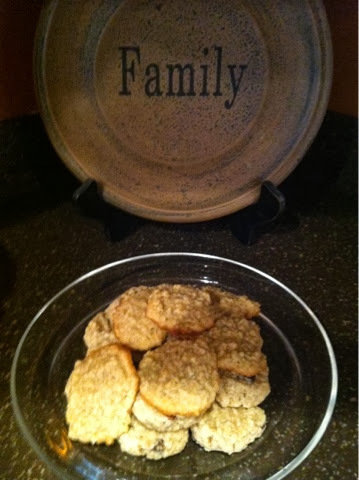 This is such a great recipe for this food allergy household and especially on those busy weekends! I also use this recipe to make a big batch of pancakes and freeze them for the month. Just double the recipe and place 4 medium size pancakes in a small freezer locked bag and then I put all of those bags in a large freezer locked bag then freeze them. The night before a school day, I take one out and put it in the refrigerator and pop in microwave next morning for 30 seconds. It's one of those recipes that make you feel good as a mommy so it's great for school mornings!! 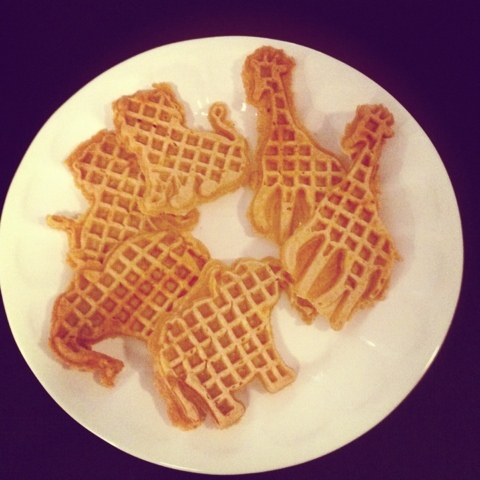 Today though, I used the animal waffle maker (bought it at target for $20). I still made a double batch and I froze them as well. The boys love these character ones though and they seem to like them plain as snacks too! Mix all together, use a little organic spray oil and its that easy!! Best with some fresh berries and organic maple syrup! Enjoy!! 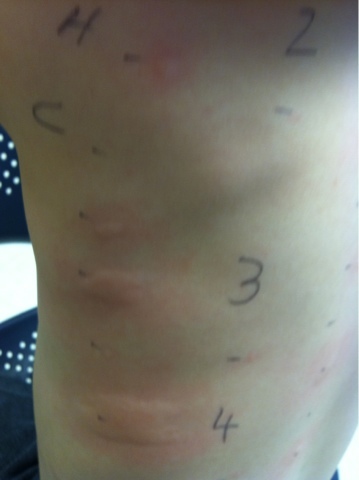 When we do our food allergy testing on our kiddo, we have always opted for doing both the blood test and the skin test. 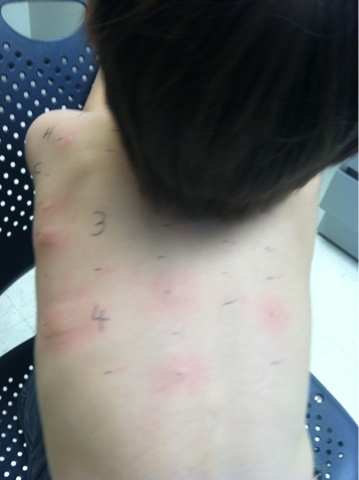 The picture below show what the skin tests results look like on our little man. The blood test just includes a small amount if blood taken from the arm and sent off for testing. We then compare the results because we have had both false negatives and false positives. Since our little man has "grown out of " 4 of his previous good allergies, we have been told by our specialist that annual testing would be the best way to continue to explore if he has grown out of an allergy. We have just been doing this right before school starts...just an easy schedule to follow in this household. If you ask my little man, even though he hates needles just like the next kid, he prefers the blood test I over the skin test. With the blood test, it's a quick "ouchie" prick in the arm. The skin test, on the other hand, consists of some safe allergen sample of the item you are testing for inserted slightly under the skin. This is usually on the arm or back. And, while its not painful at all, if the kiddo has an allergy to the item, it becomes extremely itchy and uncomfortable to the little one and it has to remain for some time. After the process is over its not a quick relief either. For us, he is washed off then given some benedryl, which takes time to relieve any itchy and uncomfortableness. It is most certainly a process that I would research and talk to other parents before deciding what type of testing to use with your little ones. Good luck!! A parent attempting to navigate the world with children with severe food and environmental allergies. Love being a mommy,organization, trying new things, friends, family and WINE! I work in the mental health field and specifically with early childhood and attachment as well as older children. 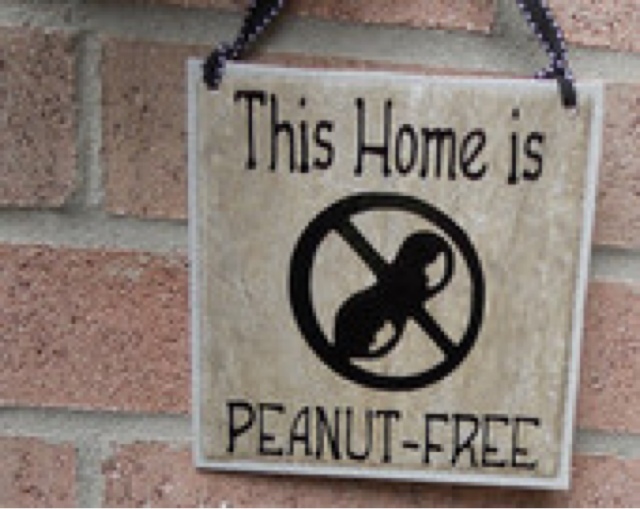 I have two blogs...one for food allergies and one for everything else. I love decorating, getting creative with my family and laughing...out loud!